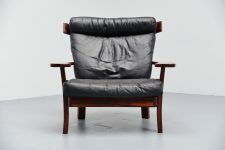 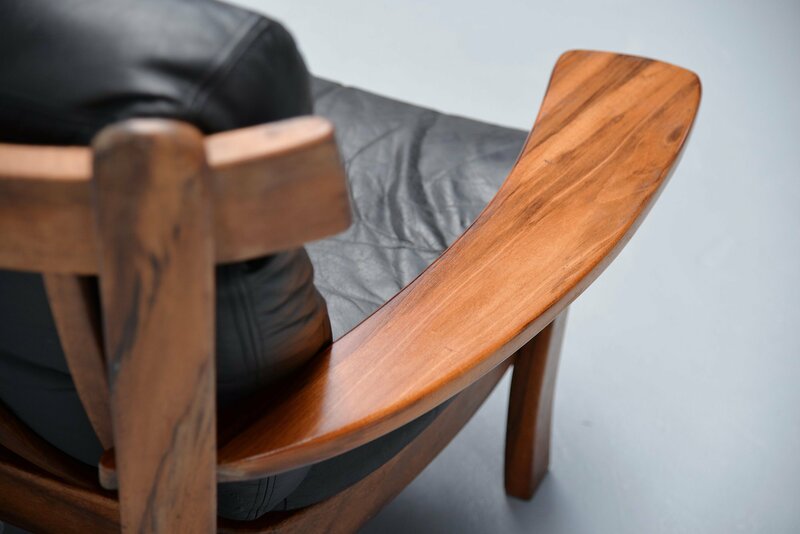 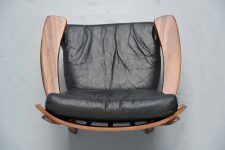 Fantastic so called 'Ox' lounge chair made by unknown designer or manufacturer, Brazil 1960. 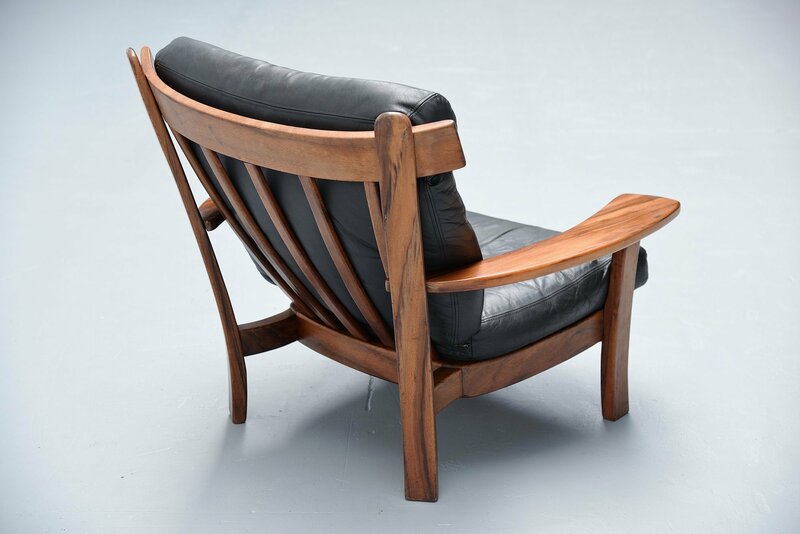 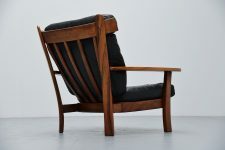 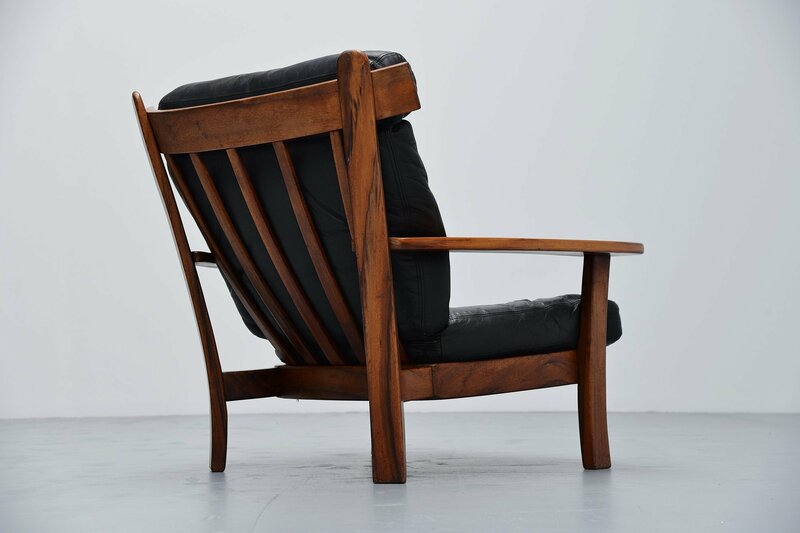 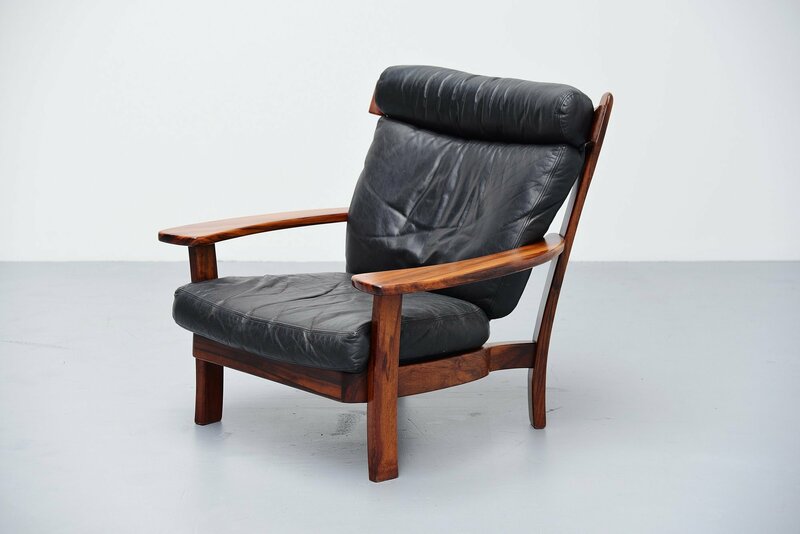 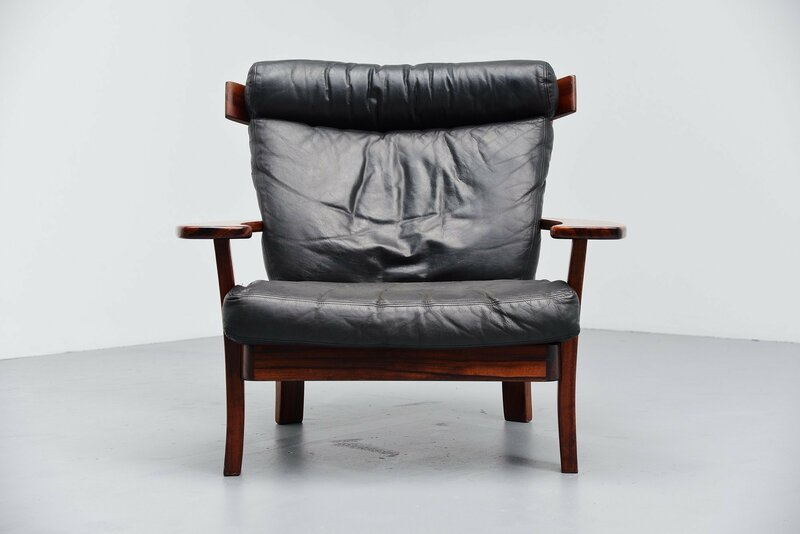 This chair has a solid Brazilian rosewood frame and a black leather upholstery. 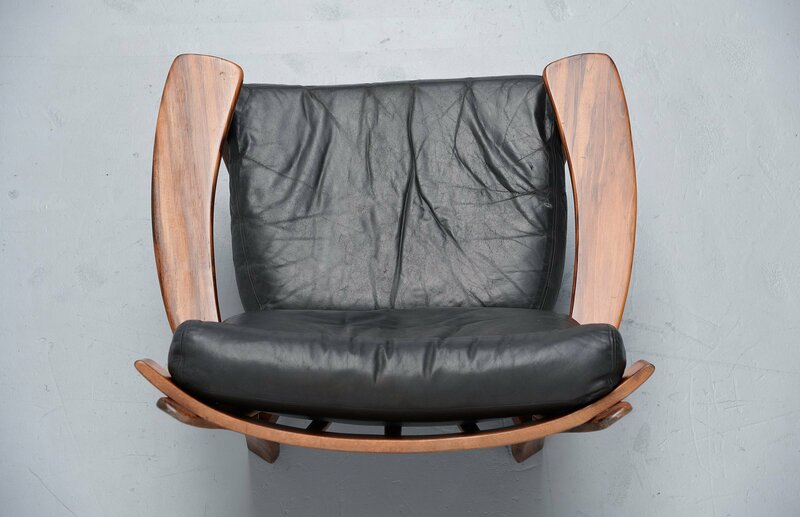 The wooden frame has a very nice grain to it which gives a fantastic contrast to the black leather cushions. The chair is in very good original condition and has a nice patina from age and usage.